Eight self contained lessons which follow on naturally from the highly popular 'A Brush With Art' using several different watercolour mediums. 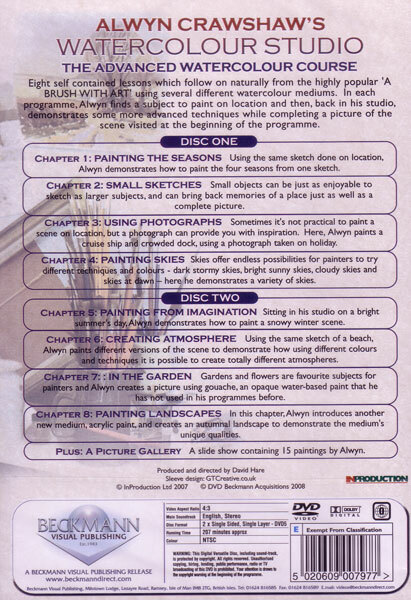 In each programme, Alwyn finds a subject to paint on location and then, back in his studio, demonstrates some more advanced techniques while completing a picture of the scene visited at the beginning of each programme. Using the same sketch done on location, Alwyn demonstrates how to paint Autumn and shows how both Winter and Spring can be achieved from the one sketch. Small objects can be just as enjoyable to sketch as larger subjects and can bring back memories of a place just as well as a complete picture. Sometimes it's not practical to paint a scene on location, but a photograph can provide you with inspiration. Here, Alwyn paints a cruise ship and crowded dock, using a photograph taken on holiday. Skies offer endless possibilities for painters to try different techniques and colours - dark, stormy skies; bright, sunny skies; cloudy skies and skies at dawn - here he demonstrates a variety of skies. Sitting in his studio on a bright summer's day, Alwyn demonstrates how to paint a snowy winter scene. Using the same sketch of a beach, Alwyn paints different versions of the scene to demostrate how using different colours and techniques it is possible to create totally different atmospheres. 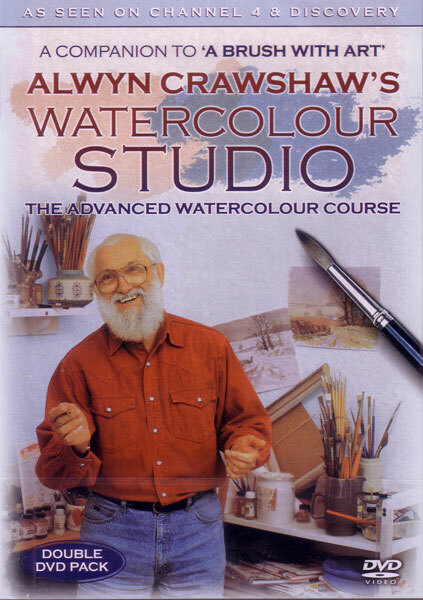 Gardens and flowers are a favourite subject for painters and Alwyn creates a picture using gouache, an opaque water-based paint that his has not used in his programmes before. In this chapter, Alwyn introduces another new medium, acrylic paint, and creates an autumnal landscape to demonstrate the medium's unique qualities.